We've been building a special space for you since 1975. We are newbies, pros, artists, makers, instructors, hobbyists, students, skeptics and curious folks. We are babies, toddlers, teens, 20-70 somethings, retirees and everything in between. No matter how you define yourself, our space is designed for all of us to work side-by-side in a friendly, supportive environment. While we're constantly evolving, growing and changing with the times, we're also believers in the age-old understanding that most things take a village. Come see for yourself! Our doors are open to the public every day. Stop in and tour our facility. Take a look into any of our classrooms and studios, and you'll see our active community helping each other to create fearlessly. Since 1975, Lillstreet Art Center has been a community of artists and students working side-by-side. From the beginning, our intent has been to offer an alternative space to create, connect, and find community. Today, we still strive to build and maintain an environment that inspires artists create fearlessly. Lillstreet Art Center supports the arts through a multifaceted arts education program, year-long artist residencies, art exhibition space, retail sales opportunities for artists, studio rentals and arts-based professional development. In 2003, Lillstreet relocated from its long-time home — a converted horse barn on Lill Avenue in Lincoln Park — to a place in which we could truly grow. 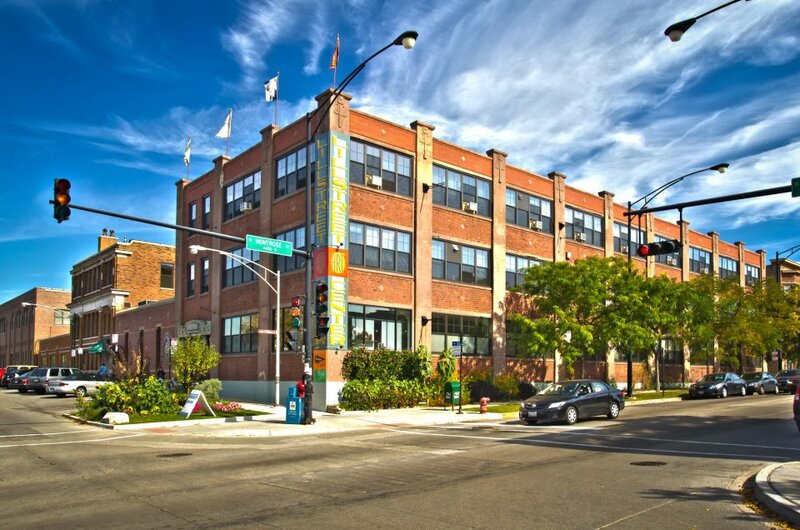 A former gear factory on Ravenswood Avenue offered us just that. Our 40,000 sq. ft. facility is a spacious, well-equipped art center offering art classes in over 20 classrooms. We offer adult classes & workshops for beginning to advanced students in six different departments: ceramics, metalsmithing, jewelery & glass, painting & drawing, printmaking, textiles, and digital arts & photography. Each department offers First-Time Artist classes that help beginners to explore a new medium in a relaxed environment. Our Kidstreet program has classes, camps, and family workshops for children and babies. Each year, Lillstreet welcomes over 2,000 campers to its week-long summer art camp programs. Our outstanding faculty brings a diverse collection of skills and experience to the classroom. Each faculty member will work closely with you in your class and offer instruction to the whole class and to the individual student. We host events throughout the year, and we are happy to help you schedule your Chicago art party in a variety of mediums. From birthdays to bachelorette events, group outings, professional team building workshops, fundraising benefits, offsite work events and more, we can creatively accommodate all ages and skill levels in our art studios and classrooms. Got questions? We've got answers. Customer service is an important part of the Lillstreet experience, and we're always here to help. Please visit our policies page for answers to most customer service questions that arise or email our front desk staff with any questions or comments. If you don't see the information you're looking for here, or have additional questions, please visit our frequently asked questions page or contact us. There are so many ways to experience the unique, alternative spaces and community we offer. Stop in and visit the shop, take a self-guided tour, sign up for a class, or join in on any of our events and open houses (follow us on social media to stay in the know). We're sure there's a place for you at Lillstreet. Located in Lillstreet's first floor Gallery & Shop, First Slice Pie Cafe serves coffee, the best homemade pie in Chicago, delicious meals, and even offers a meal subscription program. First Slice is a non-profit committed to providing healthy food to the homeless and needy. Since its inception, First Slice has steadily expanded its outreach programs, working with various churches, schools, youth groups and community centers. Annually, First Slice serves more than 37,000 meals to Chicago's hungry. Stop in any time and help yourself while helping others. Join us each spring for our annual Empty Bowls fundraiser benefiting their efforts to feed Chicago neighbors in need.